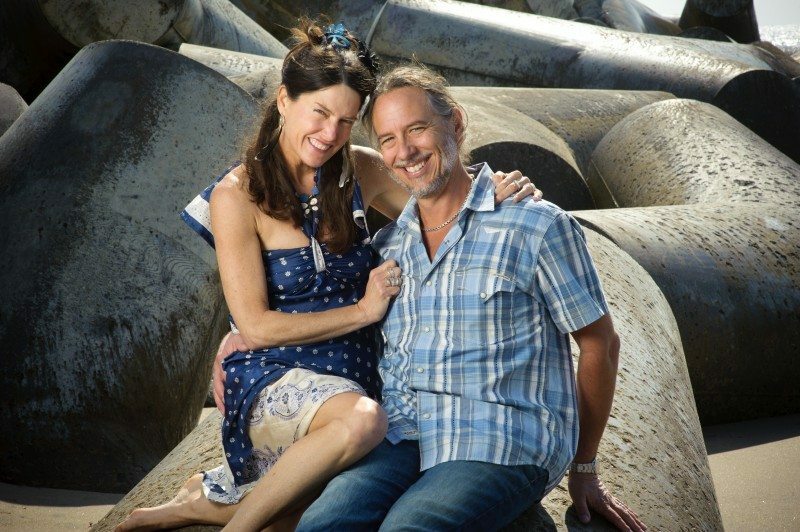 Janet and Ed, the owners of Jedzebel, met backpacking thru India 24 years ago and began bringing bohemian fashion to the US, Japan, Canada, Latin America and Europe. What began as a way to travel the world and not “get a real job” developed into a passion for producing sustainable, ethically produced clothing. Our fair trade company continues to employ people in India, Nepal and Thailand. These folks (many of the same ones we started our journey with two decades ago) are the heart and soul of our business. Our current dream is to start a non profit, so we can continue to support the street children of Pushkar, India. A portion of our sales is allocated to food and school programs that support these kids. We are currently building a house (we hope the first of many) for an underprivileged Indian boy and his family that we met on the streets years ago. We have watched him grow up and have become very close over the years. Our clothing is fair trade made and we use eco-friendly fabric whenever possible. Jedzebel™ continues to create beautiful one of a kind fashion from vintage silk sari fabric. Jedzebel is home to the Magic Skirt and many other unique designs. Additionally, cotton floral prints, one size fits most basics, and trendy yet timeless boho classics define the Jedzebel label. At EcoGirl® we continue to bring certified organic cotton clothing designs to the market in an eco-friendly environment. The EcoGirl® collection can be mixed, matched, and layered, and transitions in and out of the yoga studio. Yoga clothing by day. Casual glamour by night. THE HAT IS BACK with UPF 50 + sun protection. Our Hat.A.Girl® hats have a UPF 50+ rating and block 98% of UVA/UVB rays from the sun. Our pack and travel designs keep you and your hat wrinkle free. Foldable and squish-able ribbon crusher hats look cool, block the sun and are indestructible. Wide brim hats for beach and garden, raffia, cowboy hats and fedoras are a sampling of styles to be found at Hat.A.Girl.